Just popping in during this busy Thanksgiving week to give you a heads-up on some great savings on the binding/punching machine I use to make my Personal Progress calendars (2013, 2012 and upcoming 2014). I am not paid or affiliated with Zutter in any way, I just LOVE my Zutter Bind-It-All and it makes creating my Personal Progress calendars a cinch! Right now, until December 1, 2013, you can get the Bind-It-All for 40% OFF! This is a huge savings–I’ve never seen it priced lower! If you’re considering making my Personal Progress calendar for 2014 (which is almost ready for you–check out this sneak peek), grab your very own Bind-It-All right now. Simply put the Bind-It-All in your cart and use the coupon code HOLIDAY40. Not only is the Bind-It-All 40 percent off, EVERYTHING on Zutter’s site is 40% off! You can grab owire for binding (I get mine in bulk from Amazon), covers (when I need a lot, I also get them in bulk from Amazon), Round-It-All and more. And if you shop Zutter’s Liquidation Sale and use the coupon code LIQUID, you can get 75 percent off clearance items. I’ve stocked up on a lot of great products including a Bind-It-All carrying case and lots of great supplies in the Liquidation Sale. Again, I’m not affiliated in any way with Zutter, just a very satisfied customer. I also love using their Round-It-All (it can punch through wood, leather and more!) and other supplies (chipboard, wood, owires, etc.). 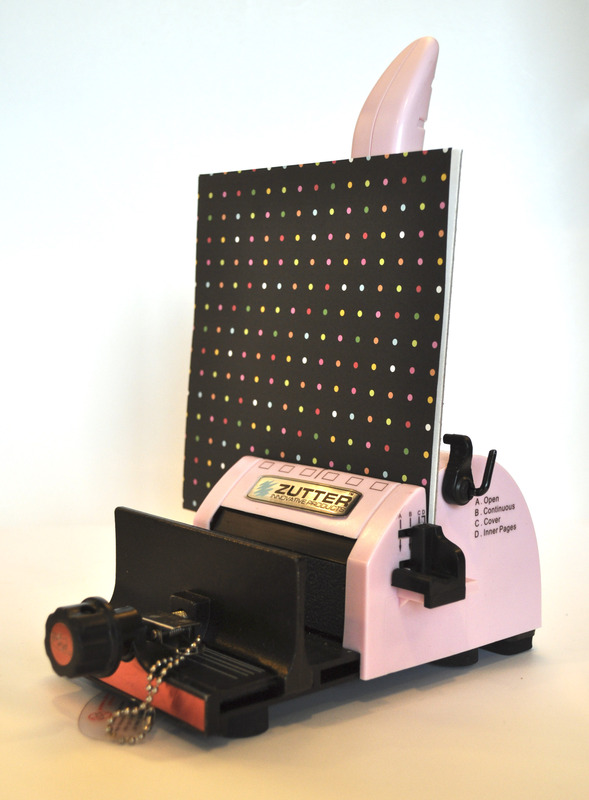 I’ve used my Zutter products for YW projects, kids homework projects and presentations and of course, scrapbooking. I am almost finished with my 2014 Personal Progress calendar (I had to take a short break to sew a blessing romper for my new baby nephew) and hope to have it ready for you soon! Next 2014 Personal Progress Calendar: It’s Here!